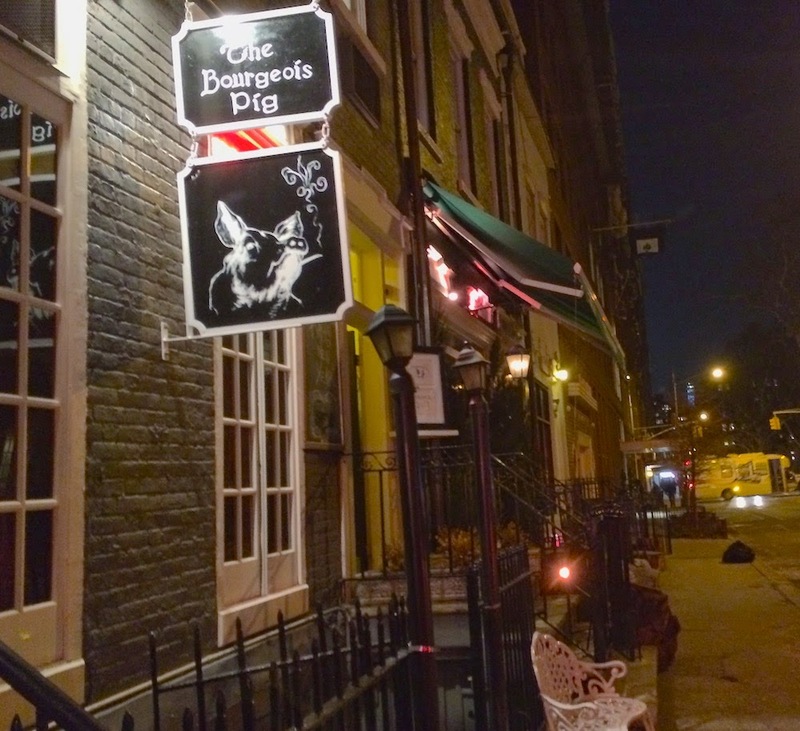 Look, it's "The Bourgeois Pig" restaurant. For some reason this reminds me of Doug Henwood. He must be feeling grumpy lately, since the "bourgeois feminist" that he hates most after Hillary Clinton, the Great Satan Sheryl Sandberg, was in the NYTimes lately: Speaking While Female. New Yorkers are so helpful. This is at the 30th Avenue station on the N/Q line.